A few years back, WiFi only tablets were only used to browse the internet, make video calls and play games. As these tablets didn’t support SIM card connectivity, people were afraid to buy them. A majority of messaging apps on the Play Store and Apple App Store requires phone number verification. As the tablets lacked a SIM card slot, they were not compatible with popular apps. Another drawback of the WiFi-only tablets is that the users had to be in the range of a WiFi hotspot to use the internet connection. 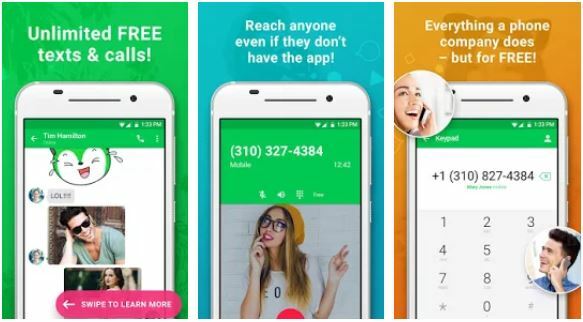 Now, you don’t need a SIM card to make calls or use messaging apps, thanks to the free WiFi texting apps available on the Google Play Store. The WiFi texting app will assign your device a unique phone number which you can use to verify your number for using WhatsApp, Instagram, etc. It will also allow you to make free calls and send messages to friends. WiFi texting apps functions as a messaging service and a mobile virtual network operator. They are secure and easy to use. They have a built-in dialer, phonebook, and an inbox utility. 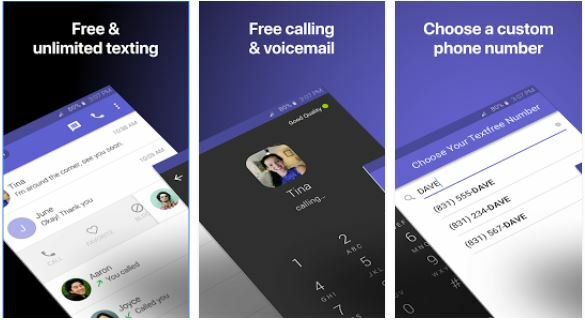 These apps come in handy when your voice calling plan has expired, the phone’s SIM card slot is not working or when your device is not able to connect with the cellular networks. The free TextMe app allows you to make free HD video and voice calls to other TextMe users. To use it, you must register a new account or login with Facebook or Google account. Invite friends to Join TextMe. If you have exhausted the free credits, you can buy calling credits in this app. TextMe assigns a US phone number to your account. It provides an option to change the number and disable inbound calls. You can set a ringtone for the US number in this app. TextMe has an inbuilt contact manager utility. It lets you set a passcode to block unauthorized users from accessing your call logs. The app supports voice mailing service. It includes a rate finder utility which you can use to find international calling rates. TextNow is a top-rated WiFi texting app on the Play Store. It has a user-friendly interface. When you log into it, TextNow will display a list of US numbers and an option to change the area code. You must select the number you want to link with your account. Domestic aka local calls made with this app is free. To make an international call, you must add credits to your TextNow account. Like other apps, TN maintains a history of the recently dialed numbers and missed calls. You can share pictures, emojis, and text messages with other users of this app. TextNow supports call forwarding and Google smart-lock service. It allows you to set ringtones for specific callers. It lets users protect their conversations and calling history with a passcode. The app provides a beautiful widget which you can place on the home screen to make calls and send messages quickly. Nextplus is a free WiFi texting app that has a size of 29 megabytes. It lets you share stickers, voice messages, and images with friends. You can also play free games on it. To make calls or send texts with NextPlus, you must log into the app. Users get a free phone number in the city and pin code of their choice when they join NextPlus. The app allows you to change your phone number. It enables you to make free calls to a friend using NextPlus. To make a call to an international or non-domestic number, you must buy credits. NP allows you to bookmark a contact. It has a contacts manager utility and a tabbed interface that displays missed calls, dialed phone numbers, and messages. TextFree is a top-rated WiFi texting app with a simple interface. It gives users a US phone number so that they can make calls or send messages through their WiFi-only device. It allows you to send free texts and make unlimited free calls to other TextFree users. Users of this app can send MMS, videos and cool stickers to their friends. TF supports group chatting. It enables users to customize or change their US number and leave a voice message. Like other apps we’ve covered here, TextFree contains in-app purchases. It also displays ads. TextFree rewards users free credits for watching videos. 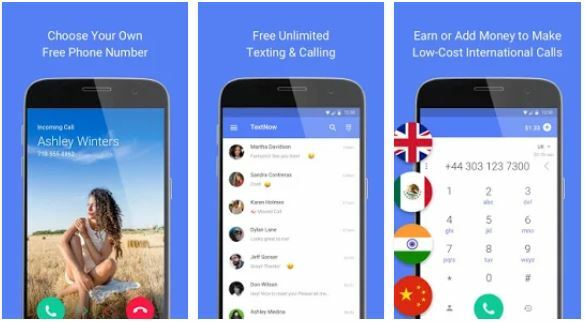 Free Tone is a free WiFi texting app from the developers of TextMe. It has a lovely UI. 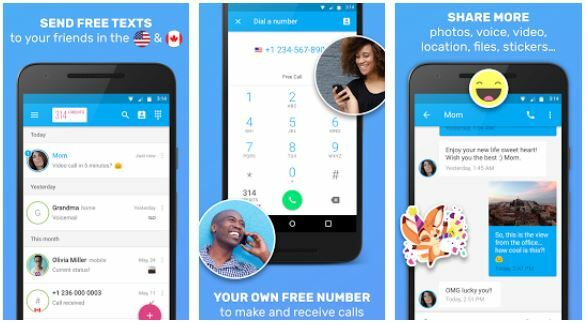 It allows users to choose a local US number through which they can send free texts and make domestic or international calls. 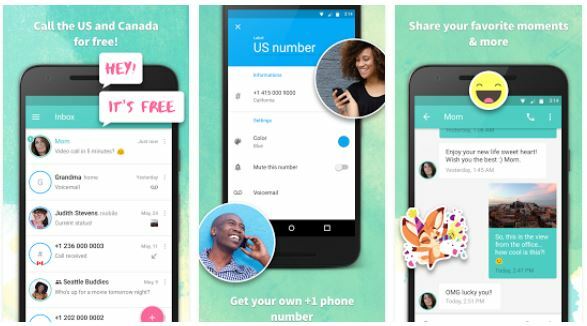 FreeTone lets US residents make free calls to all numbers in Canada and the United States. It supports MMS, voicemail. You can also make HD video calls with this app. FT allows its users to send stickers, images, and participate in group discussions. TextMe, NextPlus, TextFree, FreeTone, and TextNow are the best WiFi texting apps for IOS and Android. To make or receive calls with these apps, you must connect your tablet or phone with the WiFi network.